Sweet words from my merry married. "Rachael is one of a kind, and brings a new meaning to going above and beyond. Looking back now, I sit and think about how I got everything done, and the simple answer is Rachael Steacy. I always felt like I was her #1 priority and the most important bride due to how genuinely she cares for her clients. The day felt like a dream, and she gave us the ability to enjoy every moment and not worry about a thing, including making our guests feel comfortable and at ease. You were a blessing and the best decision we made for our wedding - anyone lucky enough to work with you should feel grateful to have you on their side for their big day!" "I cannot say enough great things about Rachael! I was admittedly a very detail-orientated bride, and my goal was to be as prepared as possible, so that I didn't have to worry about a single thing the day of the wedding - thanks to Rachael, that was 100% accomplished! 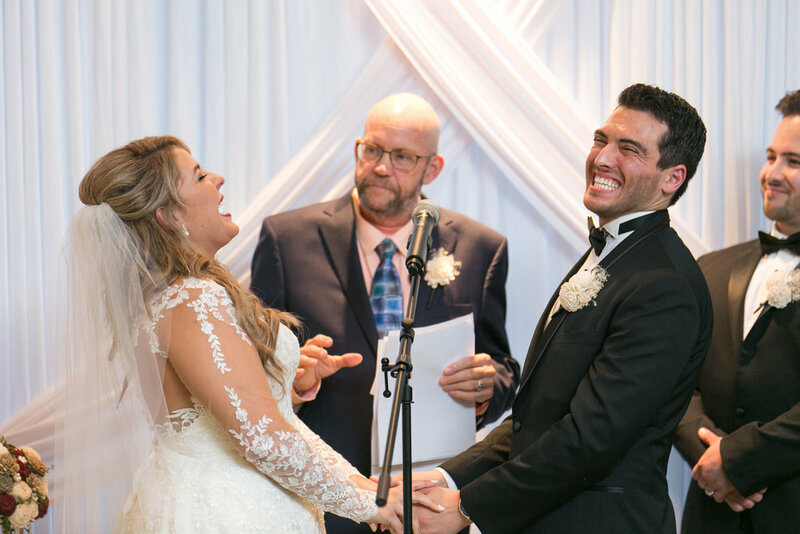 Based on her preparation and professionalism leading up to the big day, I felt so confident handing everything off to Rachael, so that I could focus on the most important thing about the wedding day - being with my husband, friends and family. Her energy and bubbly personality are contagious, and I know that everyone (including our wedding vendors) loved working with her! So thankful for Rachael, her talents and passion for the industry - this is one wedding vendor decision you don't have to think twice about!" "Initially I kept going back and forth on whether or not to use a wedding planner, and I can tell you with certainty I would have been crazy not to. I was beyond lucky to connect with Rachael, and after our first phone call, I knew she would be a breeze to work with. She dug through every detail of our vendor contracts, and went out of her way to help me communicate my vision so that every detail was executed to perfection the day of. Did I mention she rocked white heart sunglasses at our rehearsal? This girl loves love, she loves her job, and you will love freeing up your time by letting her do her thing. Finally, I'm not sure I can prove it, but the night before my wedding it was 80% chance of rain, and when I woke up it was 0% - so she might just have an 'in' with the weather gods as well! Thank you Rachael!!" "Every bride needs a superhero to help save the day if and when something goes wrong. The superhero I'm talking about is Rachael, and even though she doesn't wear a cape, her personality and professionalism are as bubbly as the champagne she loves to pop! She treats every detail and dream like it is one of her own - no idea or request is too little or too large for her to conquer with ease. From the moment you meet Rachael, she just beams with love and excitement for you and is already on the move to make your wedding the best day of your life. Organization is an understatement, and her professional approach to everything helps your vision for the day to life. We are beyond thankful for everything Rachael has done for us and our families to ensure our wedding day was everything we wanted and so much more!"